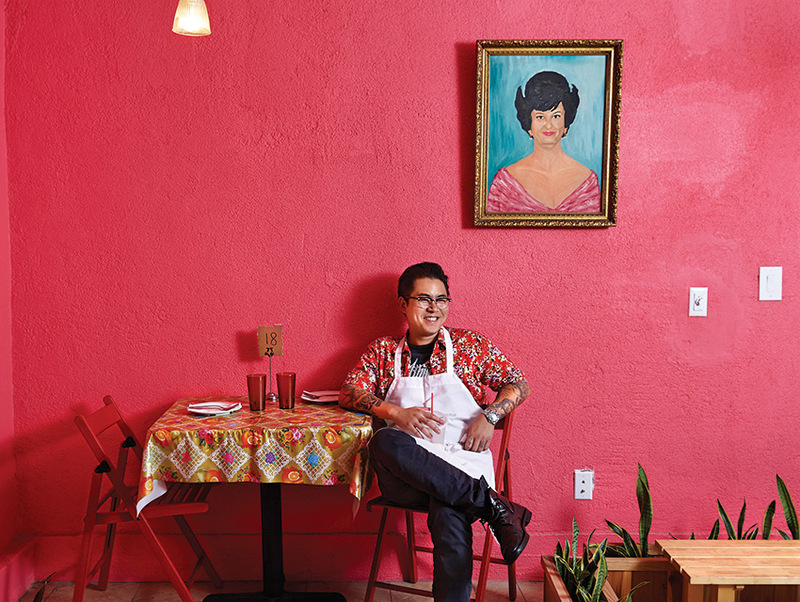 Kris Yenbamroong launched Night + Market—his paean to street food—four years ago next to Talesai, the West Hollywood restaurant his parents have owned since 1982. 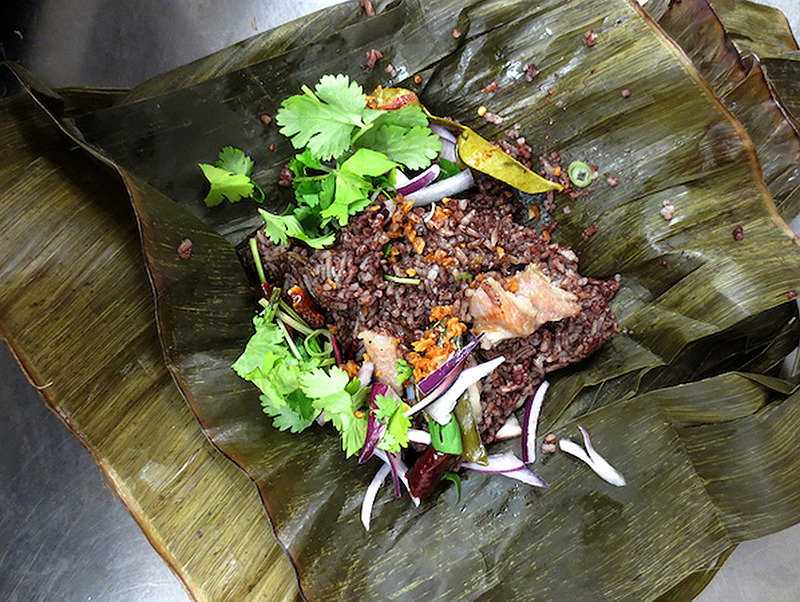 Song means “two” in Thai, and with this Silver Lake outpost, the 32-year-old deepens his exploration of regional cooking, sticking mainly to Thailand’s north and northeast. Covering the bright vinyl tablecloth, a spread of nam prik dishes—those dipping sauces of minutely chopped herbs and spices—might contain tiny tender eggplants dressed with shrimp paste or a pork ragout you heap onto pork rinds. His fiancée, Sarah St. Lifer, oversees the dining room from behind a counter where the sweet tea is poured. Jungle curry bubbles in a Sterno-heated hot pot, its surface brimming with peppercorn strands, minced chicken thigh, and wilting herbs. The Vibe: There’s a poster of early ’90s-era Cindy Crawford on the wall and a beaded curtain in the entryway. That and some bright orange paint keep the place groovy. The Crowd: A total mixed bag in the best way. The Must-Have Dishes: Does the idea of eating real MSG with pork blood sound good to you? Then the Luu Suk is your soup. Of course, there’s also lovely grilled strips of juicy pork “toro,” a curried catfish “tamale,” and a fried twist on the papaya salad that’ll please anyone with a pulse. The Drinks: Yes, you can get a Chang, but this little joint boasts one of the city’s most unique wine lists. (Chef Yenbamroong is a bit of a oenophile.) Ask your server what to pair with your water bug relish. Insider Tip: Ask for the off-menu fried chicken sandwich and be rewarded with one of the best poultry preparations in town. Sample L.A.’s best new restaurants at an upcoming event honoring the city’s tastiest newbies. Buy tickets now!